The website for the crowd-funded documentary “The Last Mambo”, which chronicles the history of salsa in the San Francisco Bay Area through interviews with prominent local salsa dancers and musicians who helped to shape the Bay Area salsa scene. 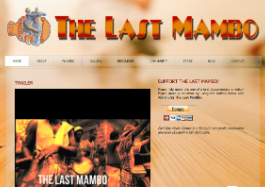 Are you the owner of "The Last Mambo"? Want to update your listing? Contact us!